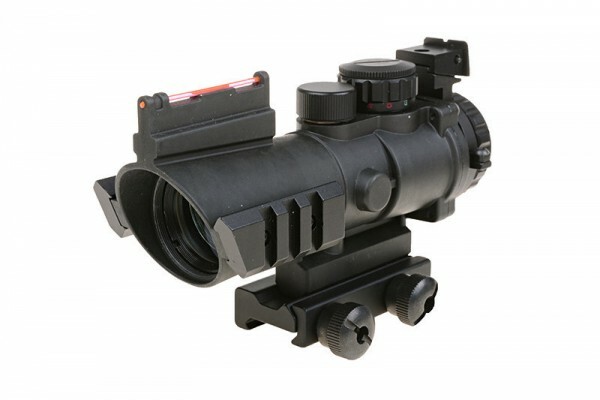 A Red dot sight almost entirely made from metal. Durable casing provides protection from damage. Powered by a CR1620 battery (included in the set). 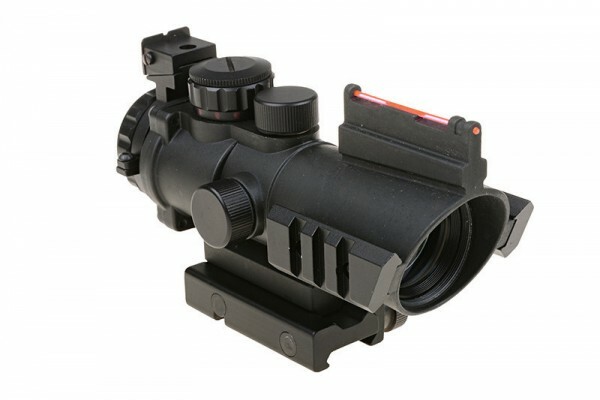 The sight displays an aimpoint of red or green colour, each with several degrees of brightness. Two regulation screws allow for fluid horizontal and vertical adjustment. 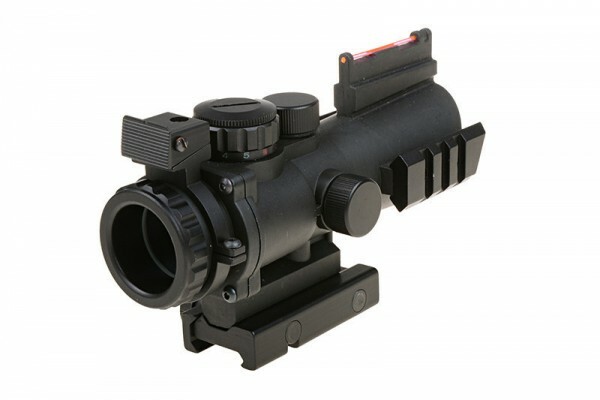 The sight features a 22mm RIS rail mount. 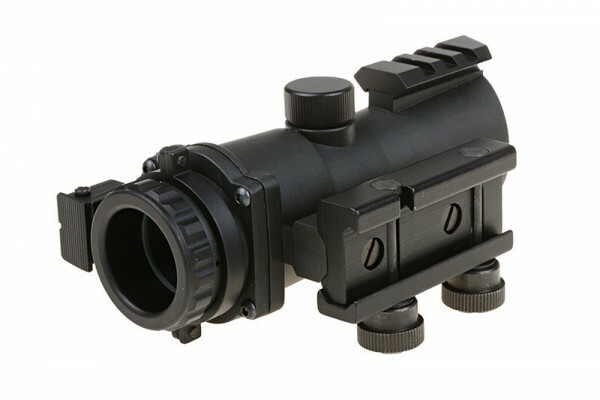 This allows for attachment of the sight to a practically every replica equipped with such rail. Two side RIS rails allow for mounting of additional accessories. The set includes an additional 11mm rail mount.